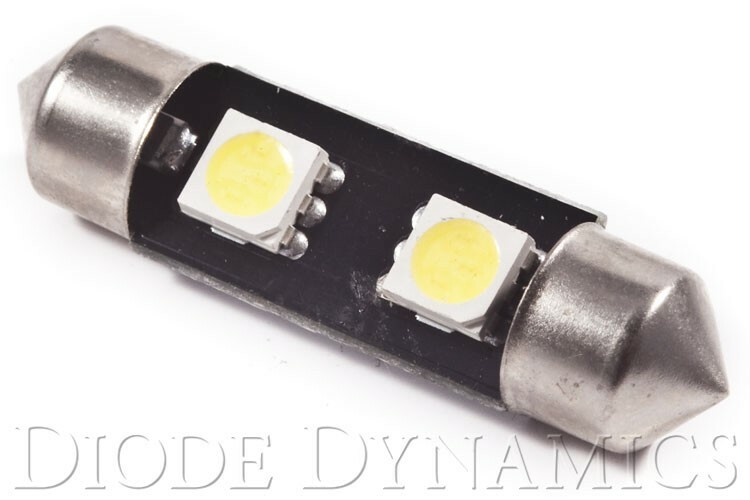 License plate bulbs are used to illuminate the rear license plate on your vehicle. From the factory, the bulbs are incandescant, lighting up in a yellowish color. The installation is 100% plug-and-play! SMF2: Compact design, with two 5050-size Epistar SMD chips on a standard festoon base. Directional output. Direct replacement, plug-and-play. 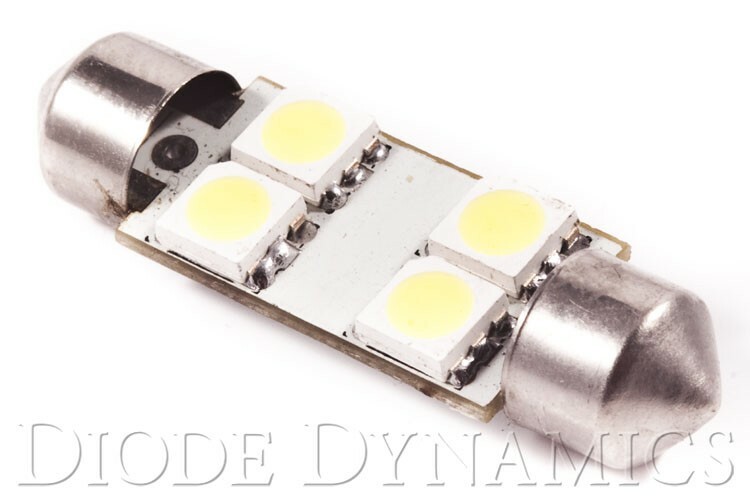 SMF4: Similarly compact design, with four 5050-size Epistar SMD chips, for maximum effective brightness. Standard festoon base. Directional output. Direct replacement, plug-and-play. SMF2: Slightly lower brightness than OEM bulbs, but still provides the crisp, modern color of LED. SMF4: Slightly higher brightness than OEM bulbs.